In the ecologically fragile Haor region, Md. Sahidul Islam (a.k.a. Sona Mia) is setting an example of how to adapt to changing climate by adopting climate-smart techniques of agriculture. Md. Shahidul Islam, born in Mouhati village in Netrokona district of Bangladesh, has always been passionate about farming. His father was a labourer at a nearby jute mill. “I had three brothers and a sister. Our family of seven members, were largely dependent on the father’s income and we lived from hand to mouth,” he said. 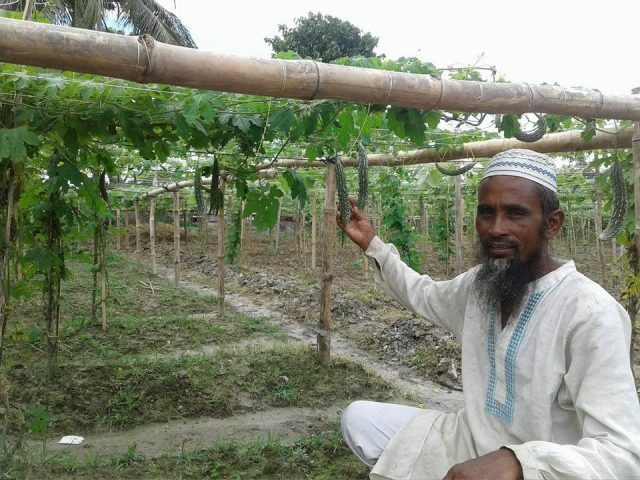 Because of the poor economic conditions at home, Shahidul, a.k.a., Sona Mia couldn’t finish his school education, but he learnt to cultivate vegetables on a small piece of land taken on lease. 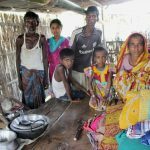 17 years ago, he along with his parents, wife and four children, moved to Ranihala village, with a hope to find a better future. 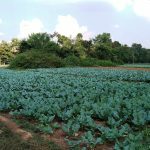 There he took an acre of land on lease to grow vegetables. Life hasn’t been easy for him, however. 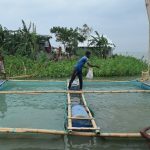 His village is situated in the Haor region, which is known for being highly vulnerable to climate change and which often witnesses flash floods and regular inundation. As a result, people living there, particularly the poor, bear the brunt. Erratic rains and climate-induced disasters in the Haors frequently disrupt crop production, resulting in income loss and poverty. 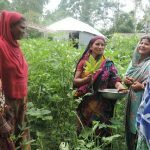 Welthungerhilfe along with its local partner Manab Mukti Sanghstha and Friends in Village Development Bangladesh (FIVDB) is implementing project ‘Promoting Climate Smart Villages for improved food and nutrition security’ in Char and Haor regions of Bangladesh. 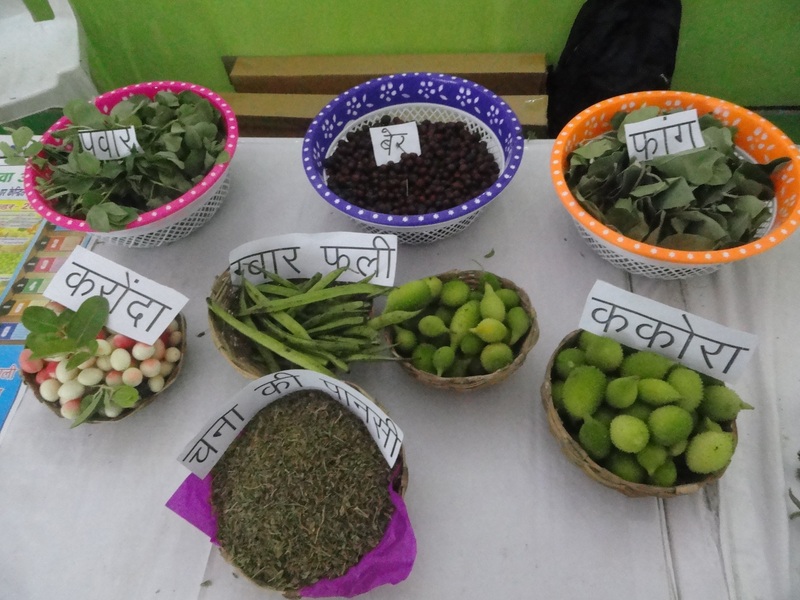 The BMZ (German Federal Ministry for Economic Cooperation and Development) supported project is being implemented with an objective to build the capacities of the communities in the project area in climate-smart techniques so that they can have improved food and nutrition security. 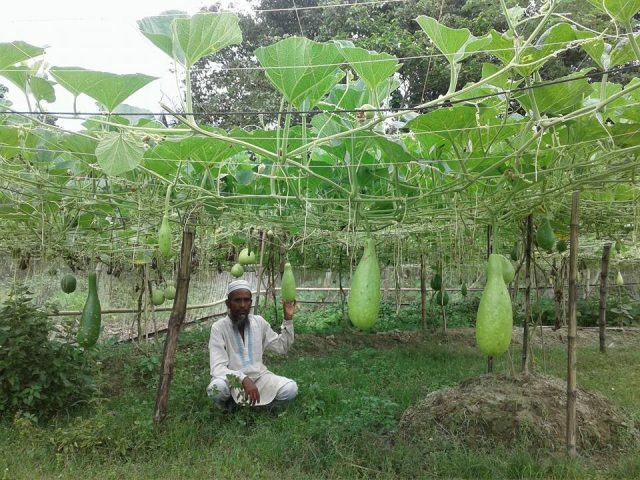 Under the project, Shahidul has received support for vegetable cultivation. 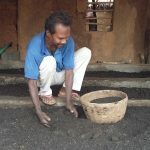 “I have received seeds of vegetables such as Sweet gourd, Bottle gourd, Radish, Brinjal, Cucumber, Carrot and have been introduced to techniques such as Vermicompost, Pit compost, Sac garden, Rhizome basket, Biopesticide etc.” These climate-smart farming practices not only help increase farm production but also help the communities cope better with changing climates. He has also received training in nursery development and pond fish culture. Today, he cultivates multiple vegetables with integrated fish farming. 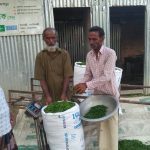 “I sell vegetables in the neighbouring market on actual price and am able to make a profit of BDT 10-15000 monthly. This is very helpful in meeting my family’s needs and generating savings,” he said. He wishes to build a bigger house for his family in the Madan sub-district.